Health circles are abuzz with the sensational benefits of Coconut Oil. If you haven't heard of all the great things it will do for your crowning glory then allow moi to fill you in! 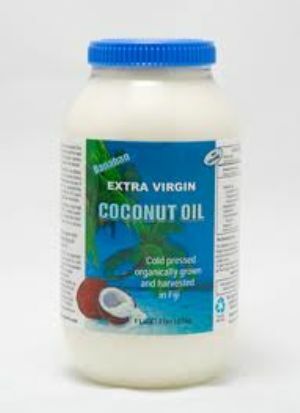 Coconut oil unlike many other oils promoted as hair treatments, is made up of Medium Chain Tryglycerides (MCT), so it nourishes cells without stripping them of natural proteins (awesome). I'm not suggesting you run out to the shops and drop a tonne of cash on special products either. Just saturate wet hair with coconut oil (the kind you find on the supermarket shelf and cook your steak in! )and leave in, under a warm towel for around an hour. Shampoo and condition as normal. Coconut oil doesn't leave an oil slick like other oils; just silky, stronger, manageable hair. I can't recommend it highly enough! Some Coconut Butter For Your Toast! What Do Models Really Eat? No, like, really!